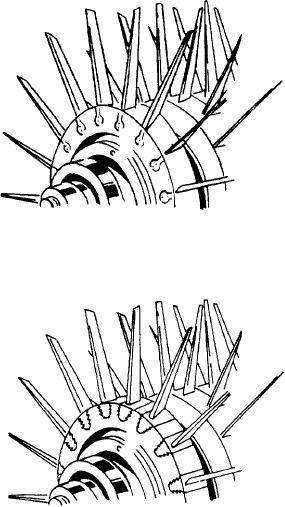 Figure 1-19.-Bulb root-type rotor blades. many with a protective coating to prevent erosion. They are welded to steel inner and outer shrouds. wall by radial retaining screws. bulb (fig. 1-19) or fir-tree (fig. 1-20) type roots. locking wires, pins, or keys. cutouts, and are referred to as blade "profiles." and rear faces of the drum.